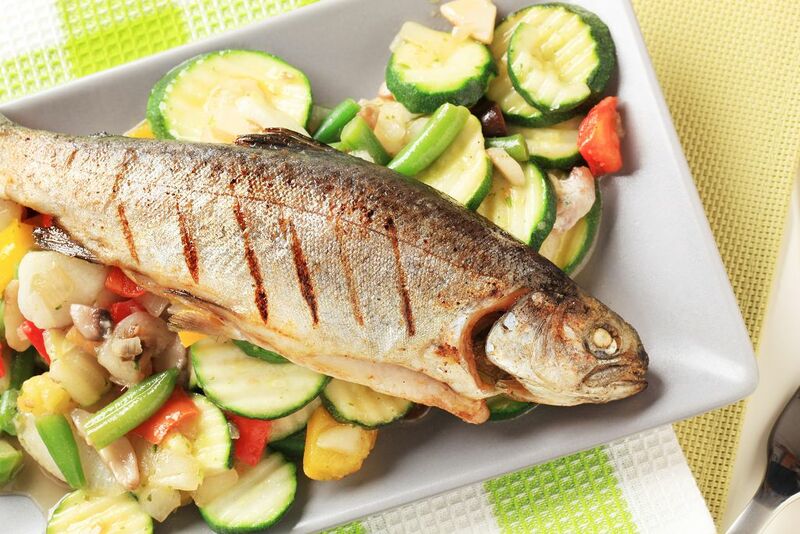 Trout is a fish that can be cooked in several ways. You can grill or bake it. I love to roast it. Others take pride in their fried trout recipes. 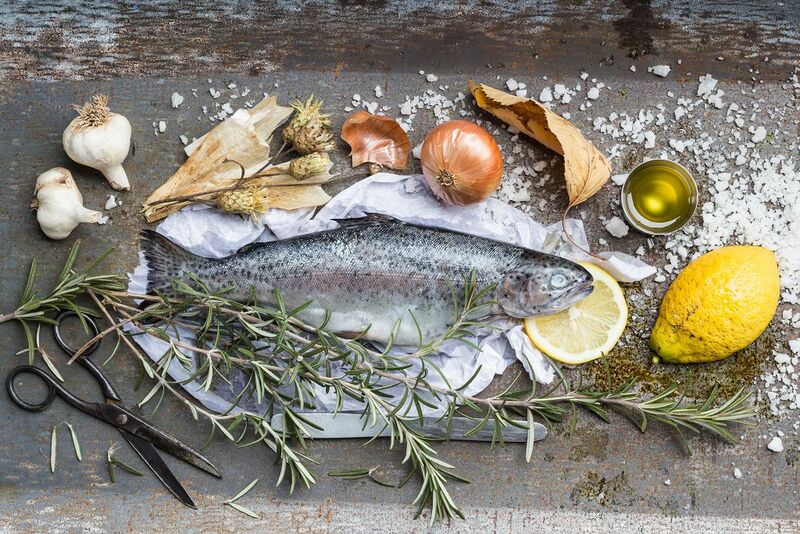 Whatever trout recipe you may have in mind, you’ll have to debone trout eventually. Removing the bones would make it easier for you to enjoy the fish. The good news is the deboning a trout is relatively easy. You don’t need to be an expert chef to be able to pull it off. You can fillet a trout using a butcher knife. I suggest you use a filleting knife so that you will end up with nice and more economical cuts. Start by removing the head of the fish. The blade should be angled towards the head instead of the body, so that you will be able to retain the meat. Slice off the first fillet located at the upper part of the backbone. Position the fish on the side so that its belly will be opposite you. Then make a tiny cut on the upper side of its backbone near the opening where you had removed its head. Insert the knife into this crease and then run it down the length of the fish. End it by slicing all the way through the section located at the base of the tail. You now have a clean and meaty trout fillet. You can then slice the second fillet by turning the fish over on the opposite side and repeating the filleting procedure. Once you are done with cutting the fillet, you should remove the pin bones and skin. It is also possible to debone a trout using scissors. This is ideal if you would want to serve up the trout whole. 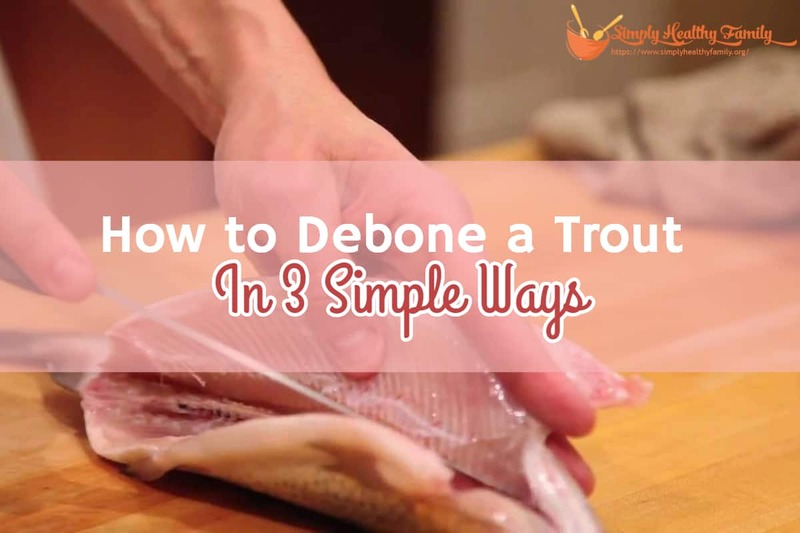 Deboning with scissors can keep the trout intact. However, you would still need a sharp knife to cut off the head of the trout. Start by cutting the tail, fins and wobbly flaps of skin. Using a razor-sharp knife, you have to slice through the higher part of the gills or just below the head of the trout. You can then use this opening in cutting through the length of the belly. I suggest you use long and smooth motions so that you can avoid crushing the fish. Continue cutting until you reach the tail of the fish. Once you have reached that part of the fish, it is time to loosen its backbone. Divide the fish at the cut where you opened up its body. Then place its flesh down against the cutting board. Using the tip of your finger, cut through the backside of the trout wherein the backbone is located. You will need to apply a reasonable amount of pressure to release the backbone and extract it with minimal difficulty. Grab the backbone close to the tail section and pull it apart. Do this gradually so as to prevent tearing away the flesh. The ribcage will also come away with the backbone. Once you have removed the backbone as well as the ribcage, you are left with a piece that has been opened up. You can then get a knife and run it along the length of the fish to remove the pin bones or those fragile rib bones remaining in the flesh. You can also debone a trout once it is cooked. Cooking the trout will soften the connective tissues to the point that it will be easier to peel away the backbone. 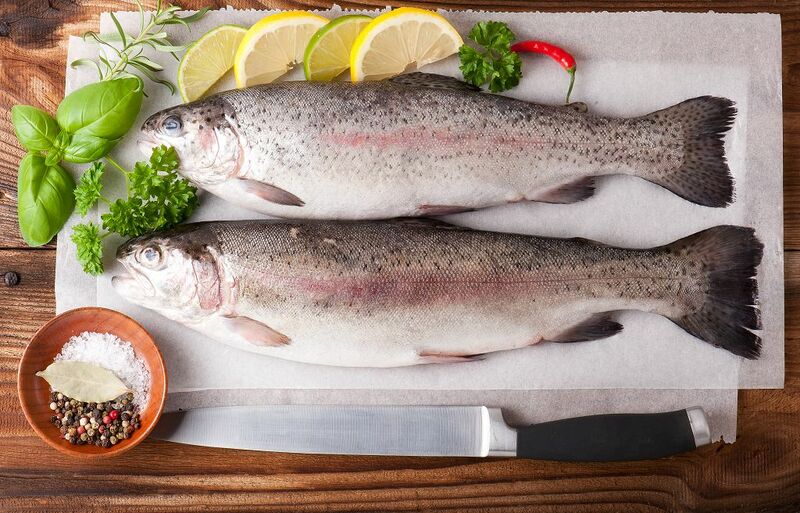 It is up to you how you would want to cook the trout. Just be sure that you don’t overcook it as this can cause the fish to disintegrate. Start by making a cut in the tail of the trout either with a knife or by putting a fork. Lift the tail even as you pull down the flesh. I usually use a fork to secure the trout’s body even as lift the tail with my other hand. Flip the trout over and start to remove the other side. While holding the tail, slowly turn the fish over. Slice into the meat located on the other side. Then strip the tail away so you can get rid of the backbone. You now have all the meat of the fish to enjoy. Deboning a trout isn’t that complicated at all. You just need a good pair of scissors or a sharp knife to be able to do so. I suggest you invest in a good quality boning knife. It also helps to be extra careful in holding the fish. Apply gentle pressure on it. You don’t want to put too much pressure as it can ruin the fish and leave you with a messy dish. How did you find this post? Let me know by writing in the comments section below.